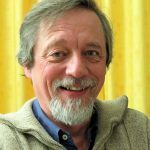 Dr. Frederik Schroyens is a 1977 medical graduate of the State University of Gent (Belgium) and a 1978 graduate of the one-year Homeopathic Training Course at the Faculty for Homeopathy in London (FFHom). He is practicing homeopathy since 1978. In 1981, Dr. Schroyens has been the constitutive President of VSU, the first Flemish homeopathic school in Belgium. He was one of the first Radar-users in 1986 and has become the Scientific Co-ordinator of the RadarOpus related project soon afterwards. In 1993 he edited a printed version of “Synthesis”, the expanded Repertory linked to the Radar project. Successive editions have been printed over 50 times in 6 languages, making it the most widely used homeopathic repertory to date. Dr. Schroyens has been lecturing on homeopathy and on his team’s work in most European countries as well as in South Africa, Asia, North and South America.